"I fancy Arsenal on a two-goal handicap but 23/10 doesn't interest me, so I'll take a chance that Stoke can limit the hosts to three at a decent price on the Exchange." According to Opta, Spurs have gone 25 games without a win at Stamford Bridge in the Premier League but I just wonder whether this Sunday is when that stat is blown to pieces. Chelsea ran out 2-1 winners at White Hart Lane earlier in the season courtesy of a last minute goal from Marcos Alonso and Mauricio Pochettino's men will be out for revenge (not to mention that FA Cup defeat). In addition, they're unbeaten away from home in their last six and Son Heung-Min has more than filled Harry Kane's boots with seven goals in his last five appearances. The Blues have been largely inconsistent recently with three defeats from their last five league games and that could be worse given Crystal Palace were probably a bit unlucky earlier in the month. Chelsea have also struggled to string back-to-back wins together, they haven't done so since December, and all signs point towards a spirited performance from Spurs. Tottenham are [1.68] on the double chance which is too skinny for the purposes of the Battle so I'll play it safe and side with the draw at [3.4] but I wouldn't be at all surprised to see them leave the Bridge with three points. This bet largely revolves around Manchester City; and how incentivised they'll be to win this game so that they can clinch the title at home in the Manchester derby next week, and also how strong they'll line-up given they're away to Liverpool in the Champions League quarter final a few days later. And there in a nutshell is why I want to get Everton on side in this game. It's a huge week for City. A trip to Goodison Park is never an easy task, the game at Anfield on Tuesday night is undoubtedly their biggest game of the season so far, and then they have the Manchester derby on Saturday. And of those three games this is the one they can take a little less lightly. Whether Pep Guardiola sees it that way is another matter. But everyone at City knows that deep down, draw or lose this game isn't going to matter one jot in terms of where the Premier League title is going this season. 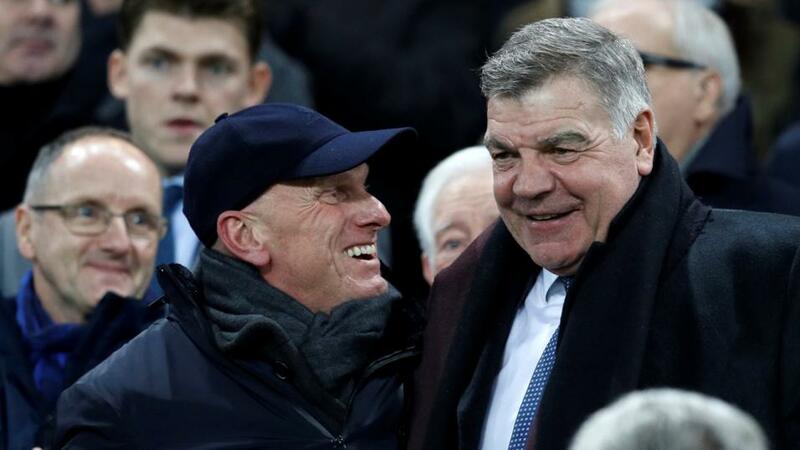 And let us not forget that Everton were the only team up until 31 December to prevent City from taking three points this season, and that on home soil Sam Allardyce's men are a tough nut to crack in front of their own fans. Only Manchester United have won at Goodison Park in the league since October, and the Toffees go into this match on the back of three straight home wins. A whopping 23 points separate Burnley and Saturday's hosts West Brom in the Premier League table, and yet Sean Dyche's men are the outsiders to win their clash. That looks like a bet to me. The Baggies have lost seven on the bounce and look doomed to drop out of the top-flight this season. It just seems wrong that they can be a shorter price than West Brom this weekend. Burnley had been on their own poor run, failing to win in two-and-a-half months between December and February, but they snapped that with consecutive victories over Everton and then West Ham. And while it's an unlikely target, the Clarets have a small chance of overhauling Arsenal in sixth so their season isn't done just yet. Burnley are good on the road - their five wins dwarves the Baggies' two at home - and they just look a solid value bet against a freefalling West Brom. The lads at the top keep firing in winners so it's a return to a big-priced punt for me this weekend, and it's an easy win for Arsenal that has won my vote. Stoke have an absolutely woeful record when visiting N5 - losing the last 15 in all competitions - and it's hard to see Paul Lambert's men changing that on Sunday. The Potters have won just once away from the Bet365 all season and face an Arsenal team who, for all their struggles this campaign, remain a force at the Emirates, with 11 wins from 15. I fancy Arsenal on a two-goal handicap but 23/10 doesn't interest me, so I'll take a chance that Stoke can limit the hosts to three at a decent price on the Exchange. Huddersfield are an unpredictable team at the best of times, but I'm backing them to turn up at Newcastle and win when it matters this weekend. After a very difficult run in December and January that saw them slide from a promising position down the table, David Wagner's men bounced back with victories again West Brom and Bournemouth in back-to-back Premier League victories. Their most recent result was a disappointing 2-0 loss to Crystal Palace at home, but the Eagles are a good team and the Terriers' price of [5.6] seems to be an overreaction to that result. Wagner is one of the best pound-for-pound managers in the league and I'm taking them to secure a crucial victory at the expense of Newcastle.